New World Symphony videographer Bruce Pinchbeck wanted a way to remind Miami Beach residents and tourists alike that they didn’t need to go to a museum to appreciate art. “Beauty surrounded them,” said Pinchbeck, 26. Then, a few months ago, his dream became a reality. Pinchbeck was awarded a $1000 grant by the Miami chapter of the Awesome Foundation to pursue his idea. “I was sitting in my apartment. I had been sitting on the idea for a while actually, trying to decide if I would apply, and then I did,” Pinchbeck said. Now, with funding, Pinchbeck was able to buy and decorate an assortment of picture frames he fastened to stands and placed all over town for his project Frame it Up. The project is exactly what it sounds like. Pinchbeck put his frames across Miami and passersby began stopping to appreciate his work. “You can see how people move around the piece of art differently than they would normally,” Pinchbeck said. 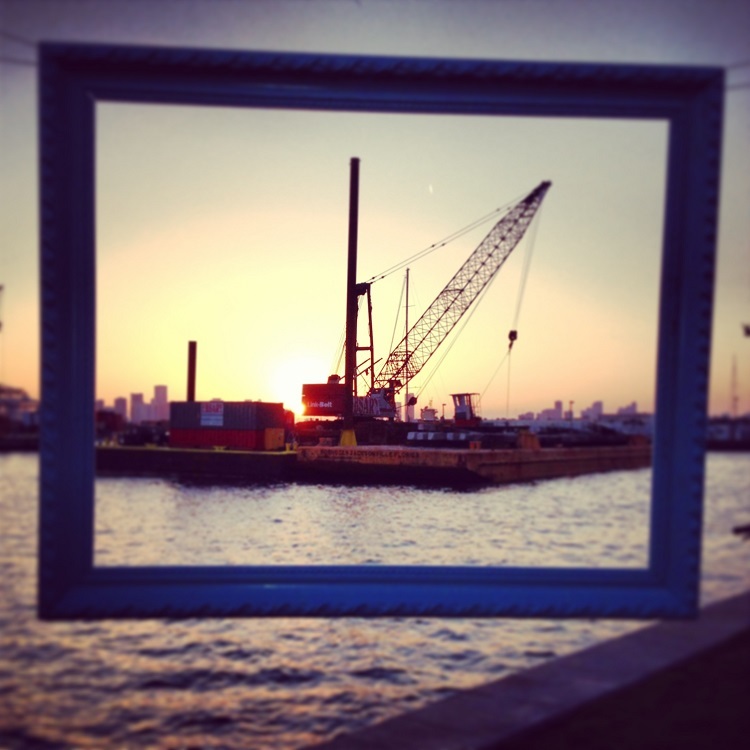 Frames were distributed across Miami, from Miami Beach to Downtown and Wynwood. It was cool that introducing physical pieces into an environment affected how others related to it, Pinchbeck said. “Soundscape Park is also another favorite. It’s pretty fun to see families interact with it. Anywhere I can see people interact with the frame is great,” Pinchbeck said. Originally from Philadelphia where he wasn’t as active in the city scene, Pinchbeck moved to Miami in August 2011 and was initially attracted to the weather, the promise of work, and the city’s culture. 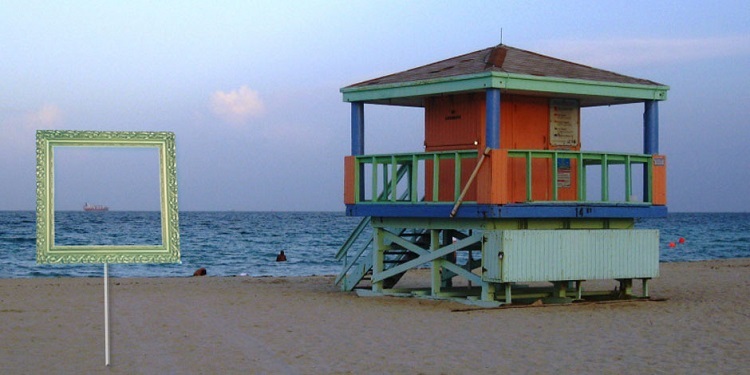 “There are a lot more beautiful areas everywhere you go in Miami. Sometimes you forget. Some locals are jaded and have a sensibility of ‘whatever’ but the surroundings are part of the reason I did this. I wasn’t as inspired in Philly to think of something like this,” Pinchbeck said. Dean of Awesome Foundation’s Miami chapter, Natalia Martinez, was a huge fan of Pinchbeck’s pitch. “Bruce we loved. [His] energy was contagious. He was very excited about the Awesome Foundation’s mission and having an impact locally. The idea of Frame it Up was very Miami,” Martinez, 27, said. “It gives people a different perspective on their own city. I think we unanimously voted for his idea. It was very novel,” Martinez said. Pinchbeck is excited to continue exercising his creative muscles in the Magic City. Got any awesome ideas up your sleeve? Apply for an Awesome Foundation Miami grant here! I love this idea of framing scenes around the city, I would imagine it really makes people stop and look – how often do we do that?